Whatever your reasons may be for moving, you can make the trip much easier by counting on the proven expertise of the expert Hopewell movers at Simonik Transportation & Warehousing. For 40 years, our Hopewell moving company has helped thousands of individuals, families, and businesses move not only within the community but across the country and around the world as well. Backed by multiple industry awards and the professional network of Allied Van Lines, Simonik Transportation is proud to be your go-to team of Hopewell movers—no matter how far you need to go! Local Hopewell Movers: For your local move, why work with a company that doesn’t know the area? Our movers in Hopewell, NJ have been here for decades! Interstate Moving: As Allied interstate agents, our expert long-distance movers have the skill, professionalism, and equipment to take you anywhere in the country. Specialized Moving: Whether you’re moving an entire hospital or just a few family heirlooms, our packers and drivers can handle any job. International Moving: Going around the world? Then trust us! We’re a Registered International Mover® (RIM) with the professional support of Allied. Storage: Convenient, secure storage can simplify moves of all distances, and we have over 79,000 square feet of warehousing to accommodate any need. Why Trust Us for Your Local, Long-Distance, or International Move? When it comes to something as precious as your time, money, and belongings, you need to work with a Hopewell moving and storage company that’s up to the task. 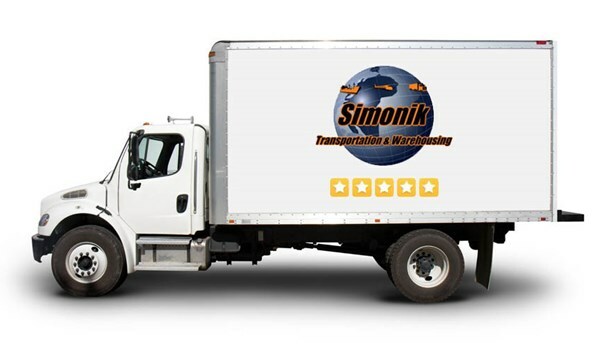 At Simonik Transportation, we’re not only BBB-accredited and A+ rated—we also boast a host of industry awards and designations to give you confidence. Our recent awards include “America’s Most Recommended Moving Company” by the Women’s Choice Awards and the “NJWMA Moving Company of the Year” for 2015. Whatever your moving requirements may be, our award-winning team can meet them! If you’re ready to get started with a leader among Hopewell moving companies, then get in touch with Simonik Transportation & Warehousing today. Call us to speak with a professional move coordinator, or complete our brief online form now to start with a free consultation and cost estimate!